Qualys Enterprise Suite helps enterprises have an accurate view of their network and web applications, identify vulnerabilities, ensure regulatory compliance and prioritize remediation according to business risk – with no infrastructure to deploy or manage. It provides ease of global deployment, scanning accuracy and allows organizations to take action to mitigate risks and demonstrate compliance. * Scalable Management – Distributed scanning capabilities, asset grouping, centralized reporting and remediation workflow in a multi-user environment. * Automation – Scheduling, automatic updates and automated report and ticket generation reduce costs and simplify enterprise-level management. * Accuracy – Comprehensive accurate scans and always up-to-date vulnerability Knowledgebase. * Role-based Access – Role-based access to authorized users anywhere over a secure, encrypted architecture. * Security – End-to-end data security protects sensitive vulnerability and compliance data. * Qualys Asset Inventory (AV): Get a complete Asset Inventory across all global IT Assets, including on-pemise, endpoints and elastic clouds. * Qualys Vulnerability Management (VM): Globally deployable, scalable security risk and vulnerability management. * Qualys Continuous Monitoring (CM): Continuously monitors the perimeter or internal systems and alerts on security loopholes (e.g., expired certs, open ports, etc). * Qualys ThreatPROTECT: Visualize and prioritize security threats with integrated real-time threat intelligence correlated with VM scan results. * Qualys Secure Configuration Assessment (SCA): Secure configuration assessment based on CIS benchmark with workflows and reports. * Qualys Policy Compliance (POL): Compliance scanning and mapping to demonstrate compliance with regulations and mandates. * Qualys Cloud Agents Platform (CAP): Provides real-time assessment (VM and PC) across millions of IT assets on-premise, elastic environments or endpoints. * Qualys App for ServiceNow CMDB (SNCS): Synchronizes all newly discovered assets and the latest information on matching assets within Qualys and the ServiceNow CMDB. * Qualys SCAP: Compliance scanning and mapping to demonstrate compliance with SCAP regulations and mandates. * Qualys PCI Compliance (PCI): Automated PCI compliance validation for merchants and acquiring institutions. * Qualys Web Application Scanning (WAS): Automated custom web application scanning for SQL injection and XSS vulnerabilities. * Qualys Web Application Firewall (WAF): Detect and mitigate web application vulnerabilities in real-time through virtual patching. * Qualys Indication of Compromise (IOC): Automate detection of compromised assets and threat hunting capabilities. * Qualys File Integrity Monitoring (FIM): Detect changes in files and policies on global IT systems. * Qualys Zero-Day Service: Analysis and automated alerting for zero-day threats based on Verisign iDefense. * Qualys API (API): XML API interface for automated scripting of VM and compliance tasks. * Qualys Enterprise Suite is priced as a prepaid annual subscription based on the number of active modules (VM, CM, TP, POL, FIM, IOC, WAS, WAF) and number of IPs scanned (External + Internal) or web applications. – Unlimited scans (VM, CM, POL, SCAP, PCI) per live IP address and unlimited WAS scans per web app (URL). – Distributed scanning capabilities with multiple scanner appliances. – Unlimited user accounts with multiple roles. 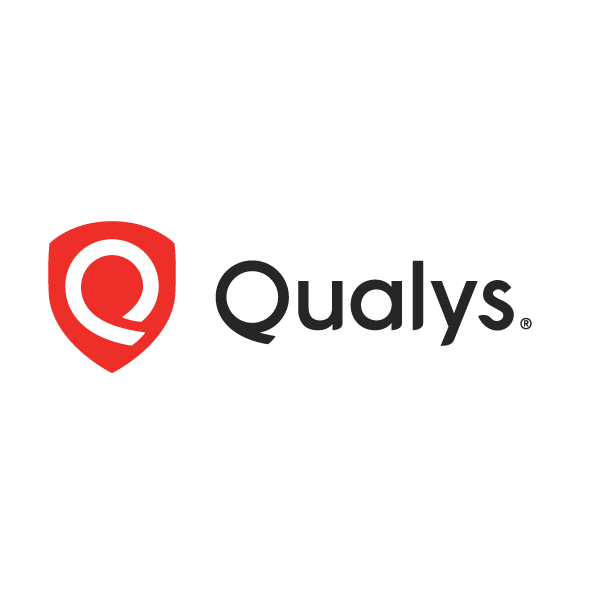 – Qualys PCI is bundled at no additional cost with Qualys Enterprise for External IPs only. – Qualys SECURE Seal is bundled at no additional cost with Qualys Enterprise when WAS is purchased with External IPs. a) Standard: concurrency limit = 2 and calls per hour = 300.
b) Enterprise: concurrency limit = 5 and calls per hour = 750.
c) Enterprise: concurrency limit = 10 and calls per hour = 2000. – An External IP is a publicly facing device that is scanned using Qualys’ Internet Scanners. – An Internal IP is any network device, laptop, server, printer, etc. – A WAS is a unique web application defined with a starting URL and/or a port. – Scanner Appliances or Virtual Scanners required for scanning internal devices and web apps are available under prepaid annual subscriptions. Qualys Enterprise Edition is target for customer with 5000 and above employees only. It can fit customer below 5000 employees scenario, but will not be that cost effective in compare with Qualys Express (256 – 5000) and Qualys Express Lite (1-256) in those scenario below 5000 IPs context.